Burma Padauk is extraordinary in that is is relatively hard, unlike its Indian Padauk cousin. It is close grained and polishes very well meaning that it will add clean crisp and bright tones to most Acoustic Guitars. 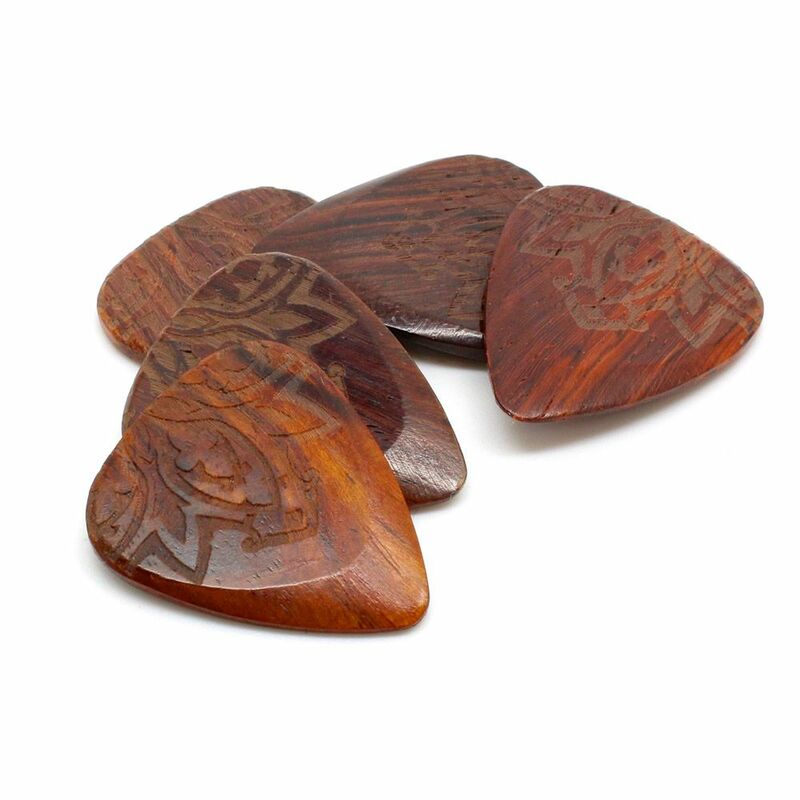 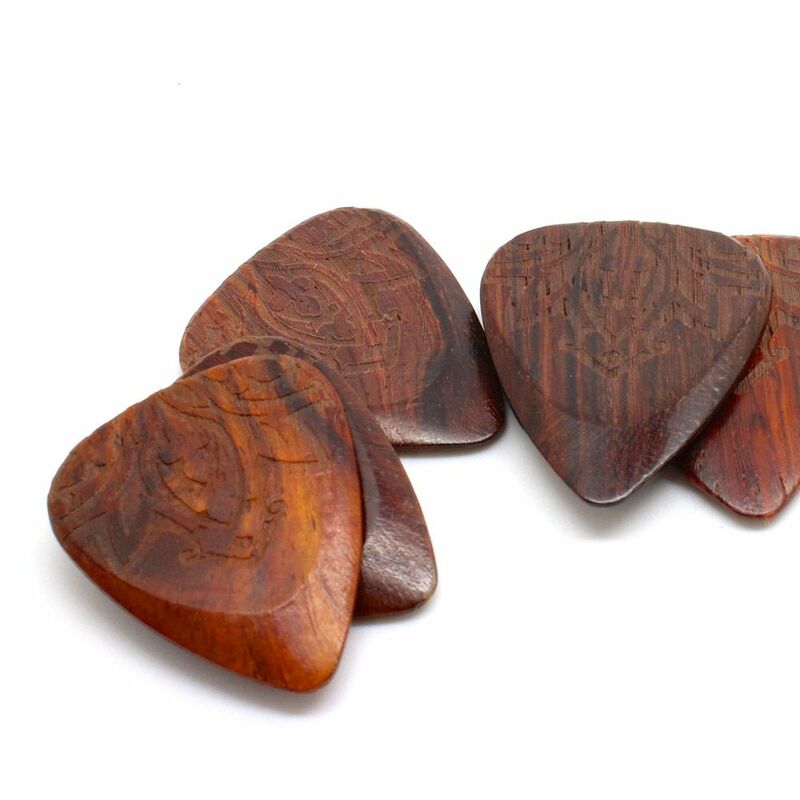 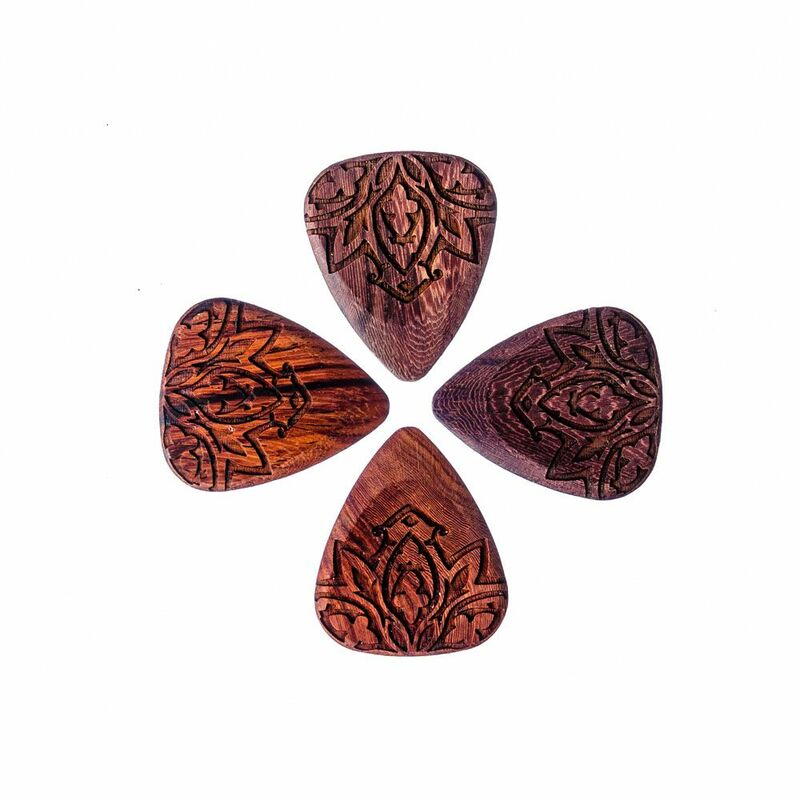 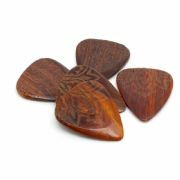 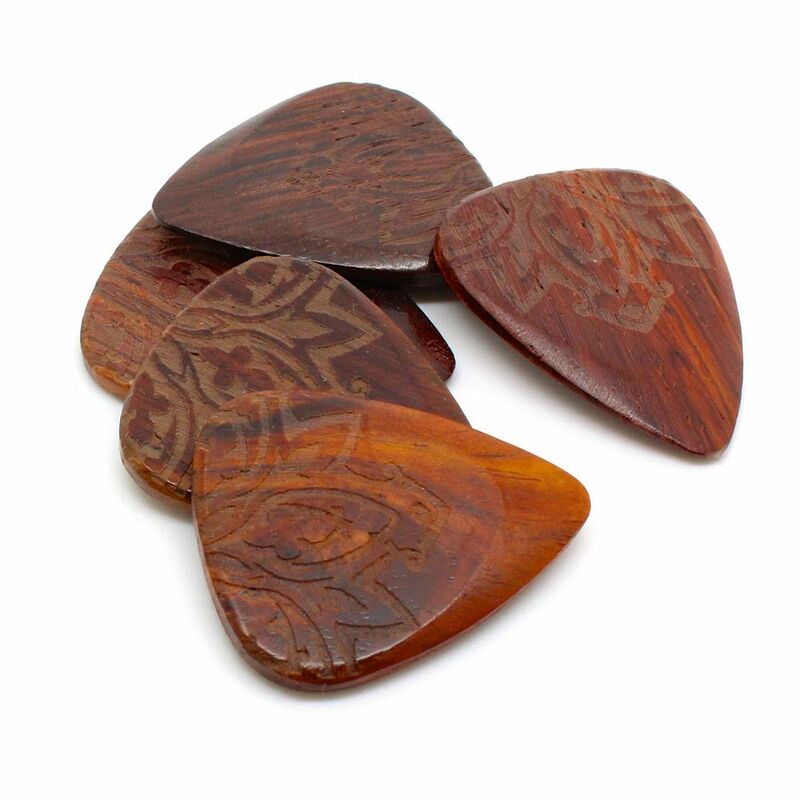 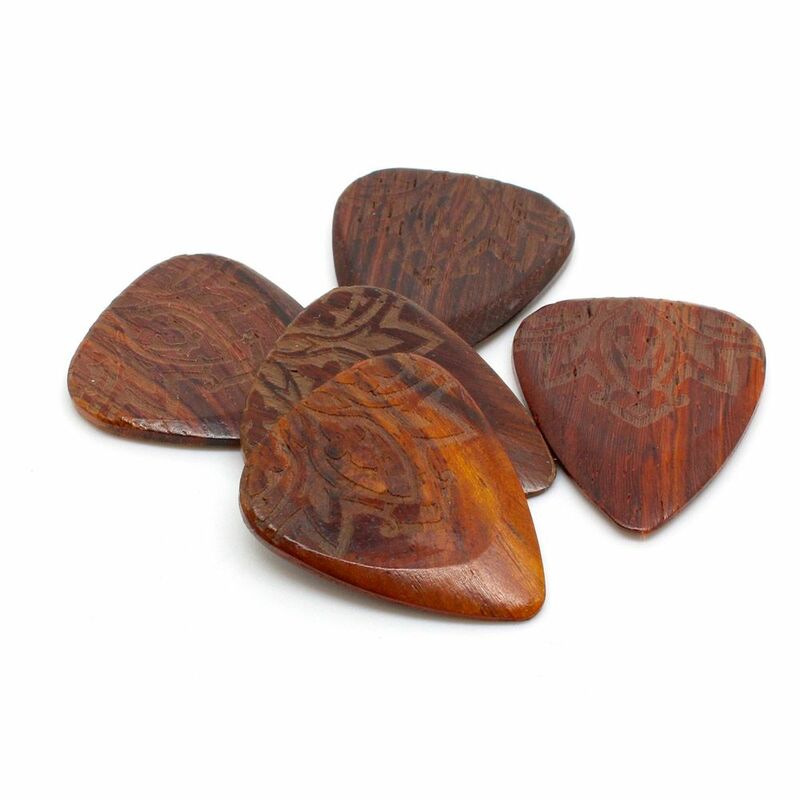 This pack contains 4 Modernist Mandala Tones Guitar Picks.